Exhumed from the crypt, one of our favorite pieces from our personal collection. An incredible piece of folk art. Masonic robe? Yale’s Skull and Bones Club ritual robe? 1920′s Halloween costume? We have no idea what it is, but we thought we’d share. We picked up this early skull and crossbones black ceremonial robe from one of our favorite dealers at Brimfield many years ago. He got it out of a Connecticut estate, but that’s all we know about it. 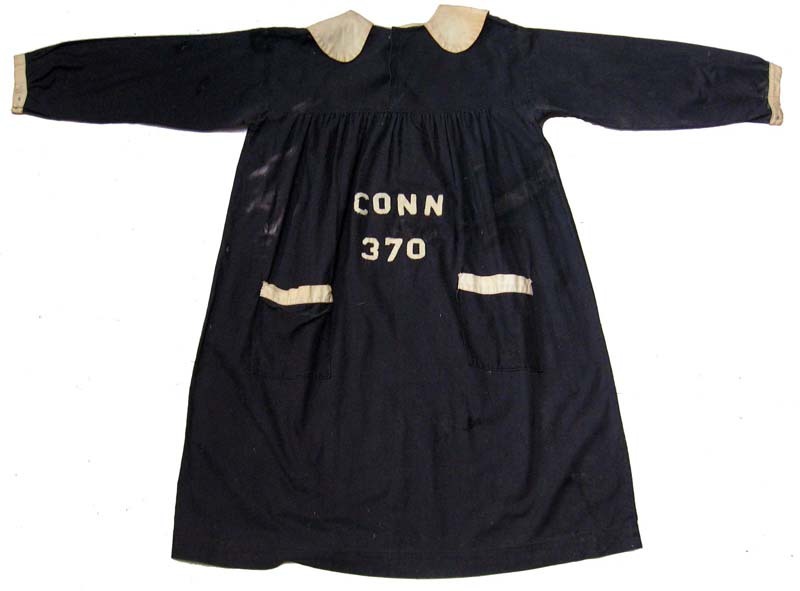 The front says CONN 370. The back, the skull and crossbones and again, 370. Any guesses? Let us know! 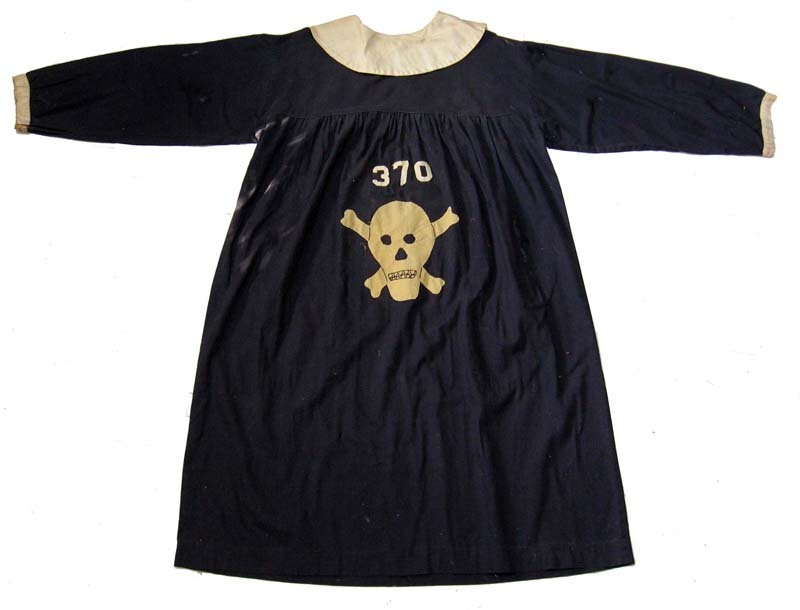 Vintage black robe with skull and crossbones (back). Vintage black robe with skull and crossbones (front). 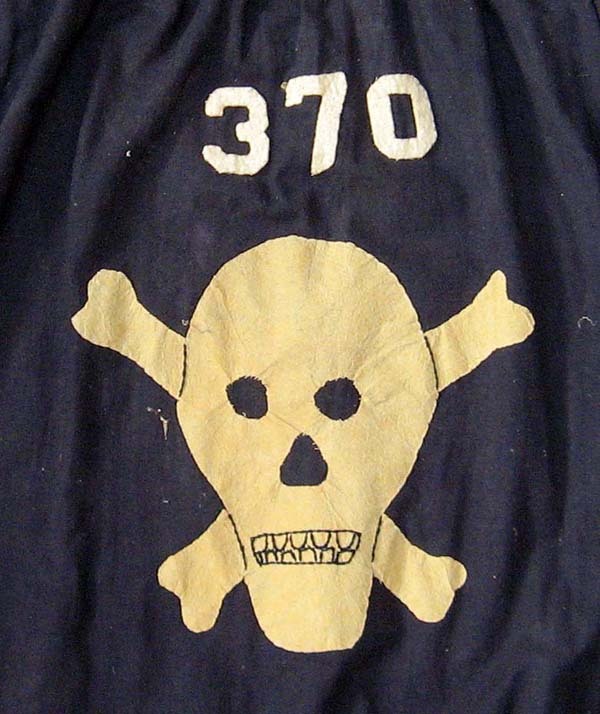 Close-up of hand-appliqued skull and crossbones and number 370. 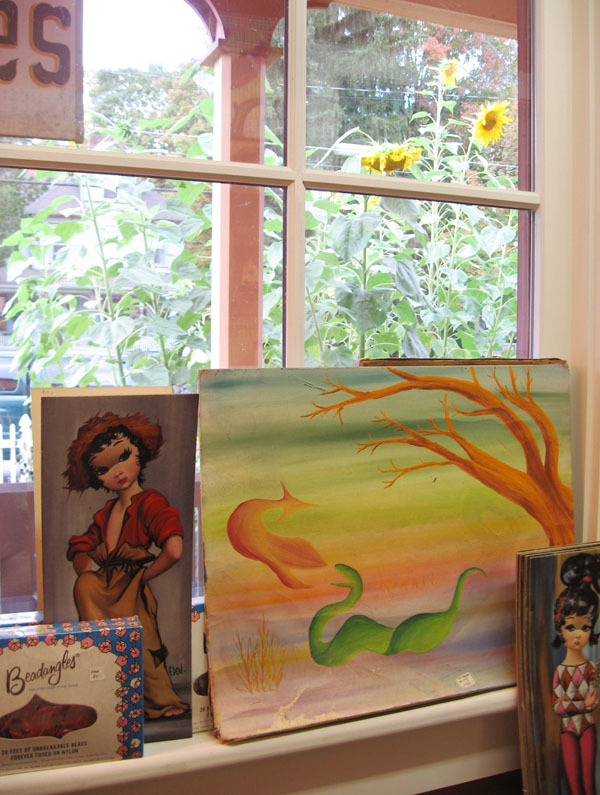 Some of our friends who have popped into the Mystery Spot during this glorious Halloween season. Lauren and Lucia totally rock the roller derby girl look for Halloween, giving it their own special spin. Lauren is twelve, a ballerina and figure skater, and skates with the Holy Rollers. Our good friend Lucia, also twelve, has taken the art of being a Girl Scout (or, as we see tattooed on her arm, a Hurl Scout) to a whole new level of cool. Lucia, when not skating the derby, sings and plays guitar in the rock band Tofu Decoy. Both girls accessorized their look with vintage 1950s cat’s eye eyeglasses from the Mystery Spot ($8 – 15). 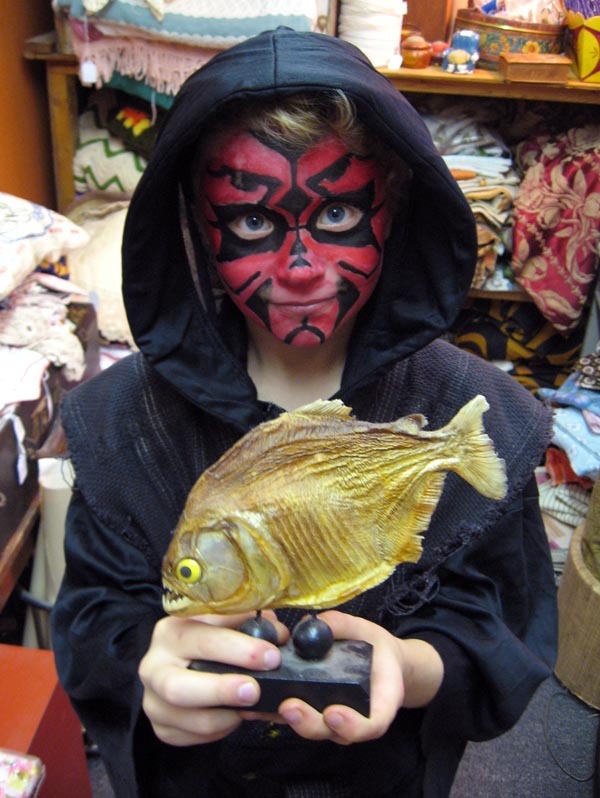 Our friend Darth Maul (aka Raffie) is 8 and likes catching animals. In fact, at the moment he’s taking care of an injured bird he caught and is nursing back to health. He instantly bonded with Petey the Piranha. 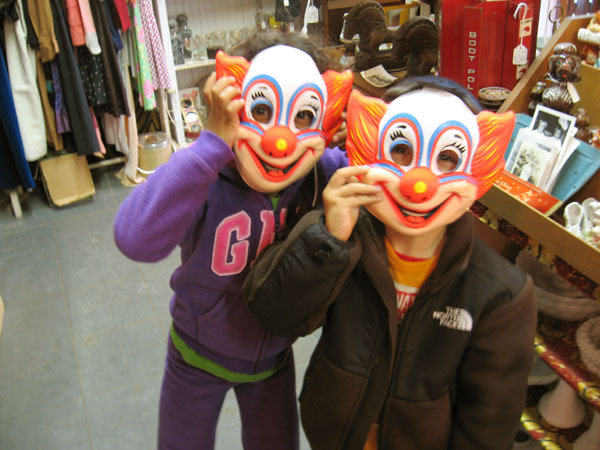 Marta and Pablo get a giggle from the vintage 1960s Bozo the Clown masks ($8.) we’ve got a stash of at the Mystery Spot. Remind us to tell you about the time we and our friend Leah raided an old novelties warehouse in Soho being emptied out to renovate into high-priced condominiums. The workers were throwing everything in the dumpster and very kindly allowed us to have a run at the place. We loaded up on all sorts of deadstock vintage novelties – including these Halloween masks. A mod room with a view. Fall Fashions a la Spot! We’ve been saving up these beauties ’til the first leaves turned. They’re now in the Mystery Spot. Come get ‘em! 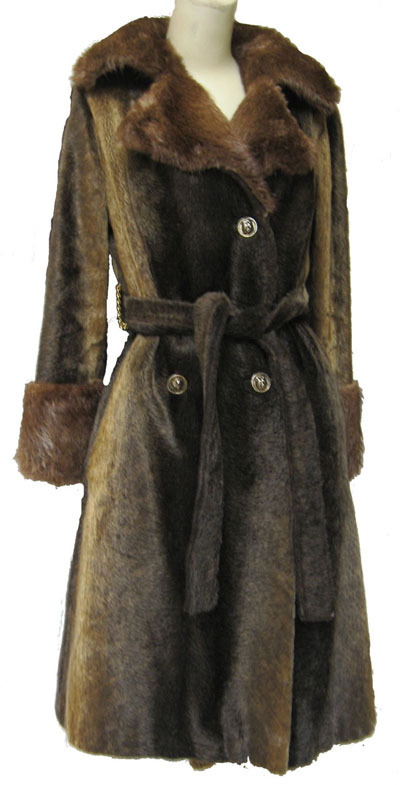 1970s Martin Bear faux fur belted coat with fur trim. 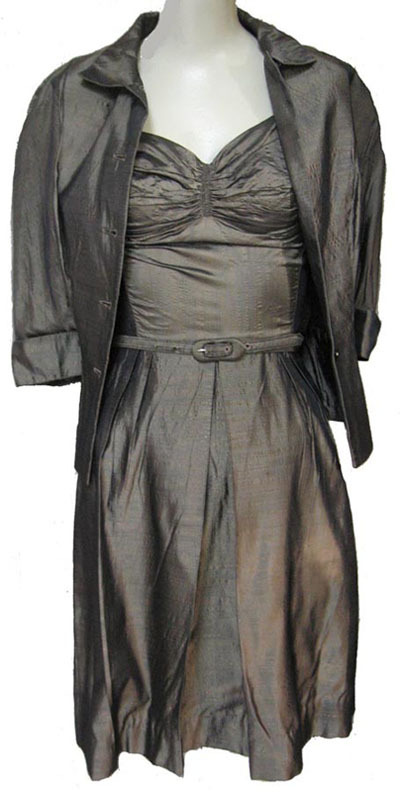 Fifties iridescent glamorous metallic pewter gray ensemble – cocktail dress with fitted peplum jacket and belt. No, your eyes are not deceiving you. Every inch of this dress's collar, cuffs and floppy bow is made from teeny tiny intricate beadwork. 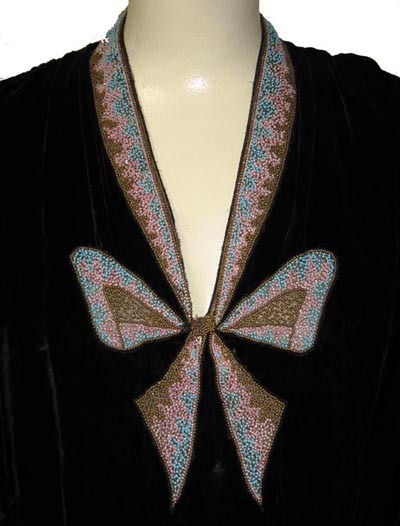 Amazing 1920s black silk velvet dress adorned with….CAN IT BE? 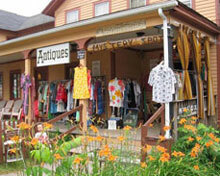 Ambrosia Parsley & Co. play our porch – life is good. The Mystery Spot porch was graced with a rare performance by Shivaree’s Ambrosia Parsley, Chris Maxwell, Phil Hernandez and surprise guest Steve Almaas on this glorious Columbus weekend. This was the final show of our 2010 Music for Front Porches series. We’re so grateful to the musicians who performed (for free!) on our Main Street front porch this summer for the townsfolk of Phoenicia and environs and customers of the Mystery Spot: Elizabeth Mitchell, Daniel Littleton, Anna Padgett, Miggy Littleton (aka Ida and The Naysayer); Holly Miranda (with special guest Ambrosia Parsley); Jonathan Donahue and Grasshopper and Dean Wareham and Britta Phillips (aka Mercury Rev and Dean & Britta), and lastly, Ambrosia Parsley Chris Maxwell, Phil Hernandez and Steve Almaas. A very big thank you as well to Tommy Ramone and Claudia Tienan (Uncle Monk) who so generously put aside their weekend to play the porch but were rained out. If you search around this blog you’ll be able to find photos and videos of most of the other performances. This was the second year of our free porch concert series and we look forward to seeing you all next summer! “Altar to the Gods of Hoarding” – That’s Us! Thanks, Watershed Post, for a great write-up on the Spot! 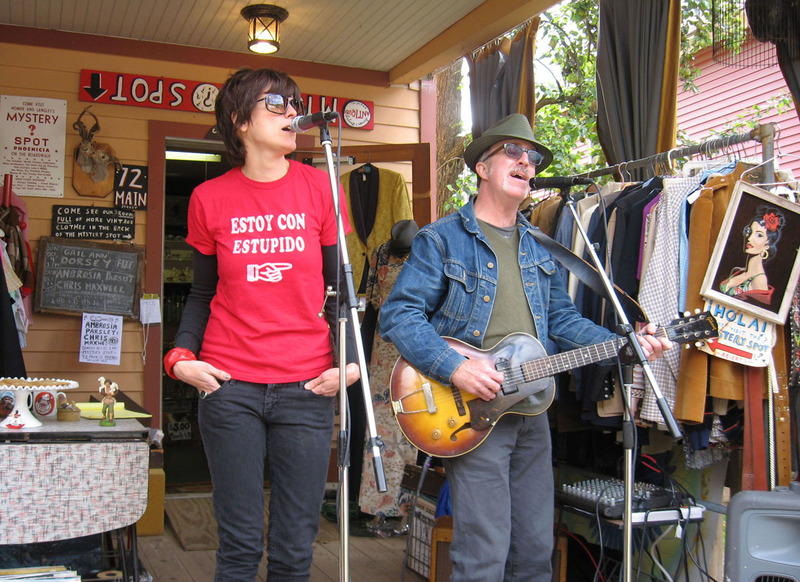 Ambrosia Parsley & Chris Maxwell rock the porch (2009). Come on down to Phoenicia’s Main Street on Sunday, October 10th (10-10-10) for a rare live performance by Shivaree’s Ambrosia Parsley and her band for the final show of the 2010 free Music for Front Porches series. The music starts at 1 PM. In addition to soft-talking and pie crust, Ambrosia has been hard at work on a solo project with the esteemed Elegant Too duo of Chris Maxwell and Phil Hernandez (Ray Davies, Yoko Ono, Fred Schneider, Jon Spencer, some others) and they’re threatening to debut a collection of heretofore unheard/unholy goods. (Last year good neighbor Ambrosia brought cookies. What dirty tricks might she employ this time out?). As with all of the shows presented by the Mystery Spot this season, the music is absolutely FREE, and all are invited. Watch Video: Ambrosia Parsley & Chris Maxwell in rehearsal before last summer’s porch show. Watch Video: Holly Miranda & Ambrosia Parsley sing a Buddy Holly tune on our porch. Our favorite score of the year? 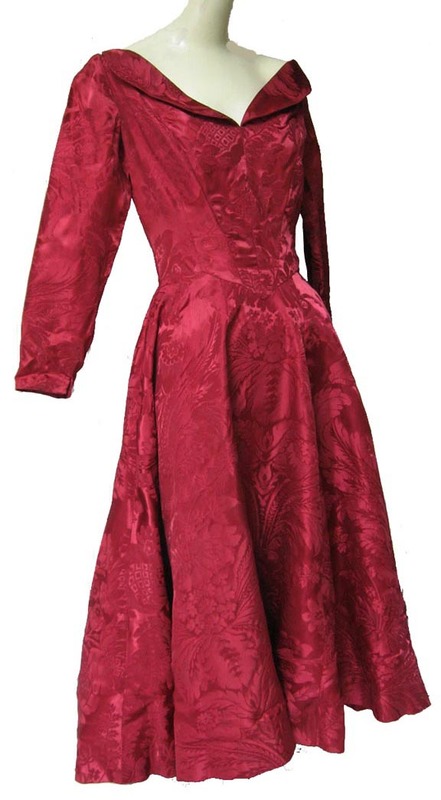 Probably this gorgeous Fifties vintage Ceil Chapman burgundy brocade full circle cocktail/party/dancing dress! Are you the lucky lady who will take it home? 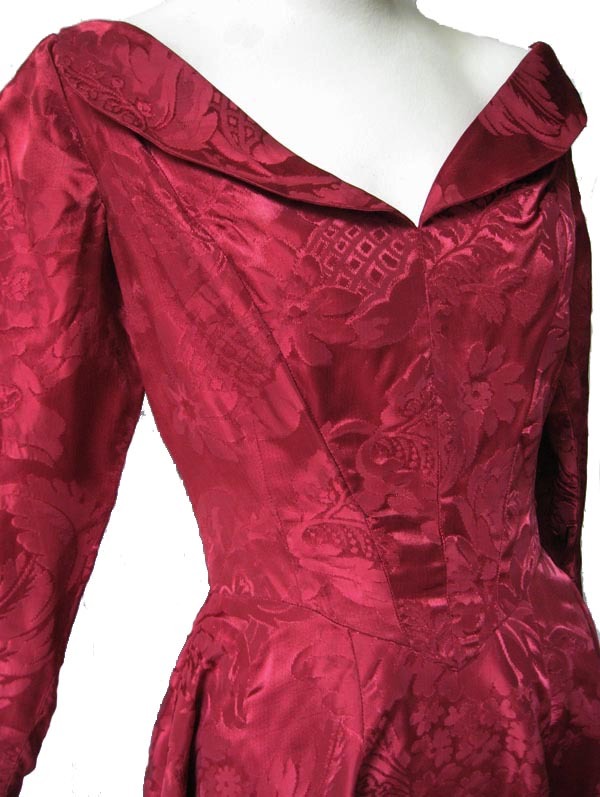 We love the open neckline and the nipped waist. 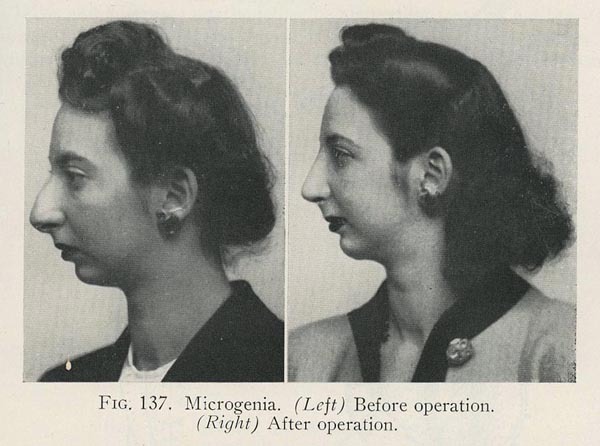 We recently acquired a collection of vintage 1930′s and 1940′s medical books from a local physician’s estate. 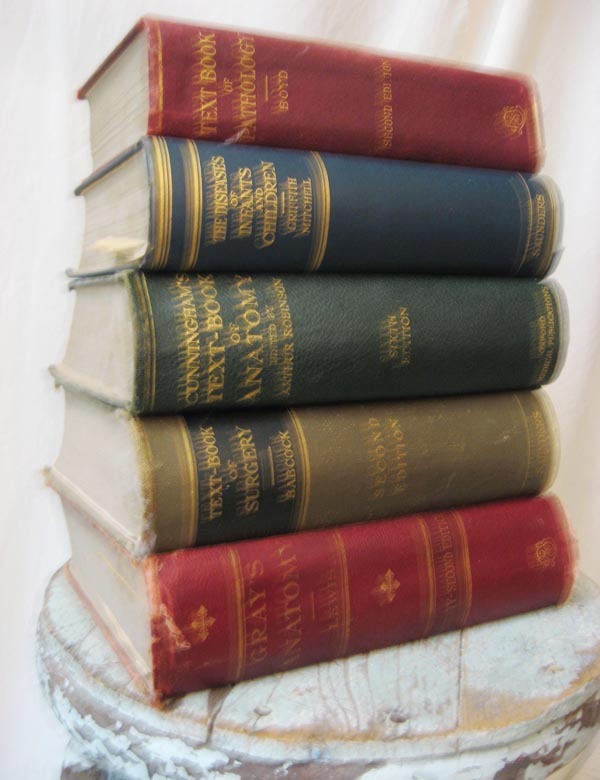 They will be added to our ever-expanding Homer’s Antique Medical Book Collection here at the Mystery Spot. 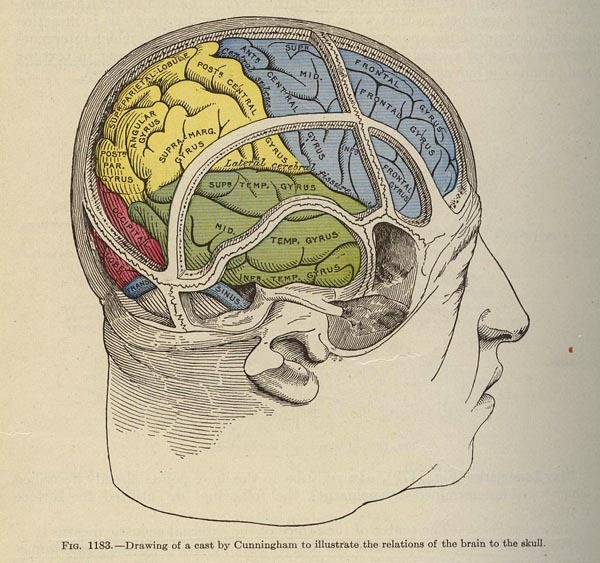 Titles include Gray’s Anatomy (1930), The Diseases of Infants and Children (1935), Text Book of Pathology (1934), Babcock’s Text Book of Surgery (1935), and The Surgical Technic of Abdominal Operations (1946), among others. 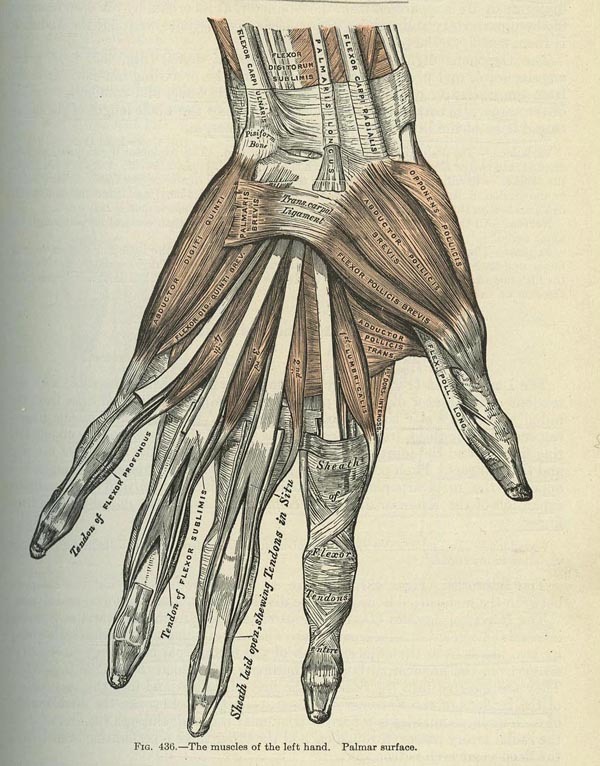 A stack of vintage medical books. 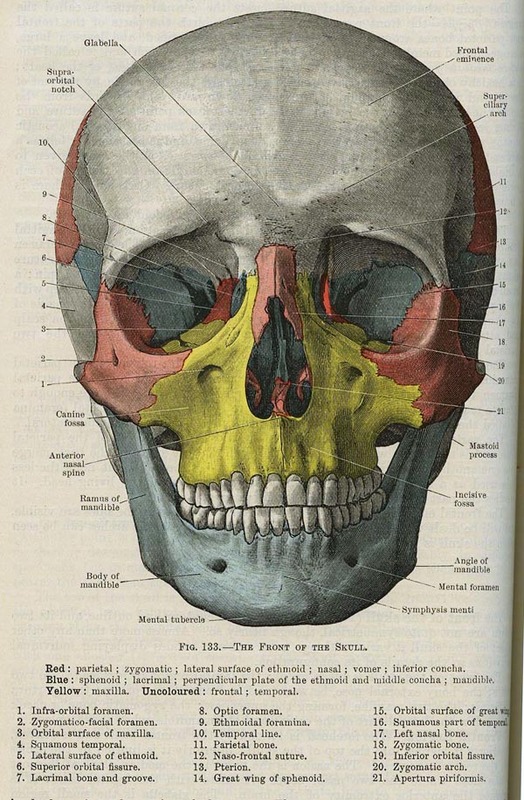 We admit a morbid fascination with these types of books, tempered with great respect and more than a little trepidation to even open the pages. 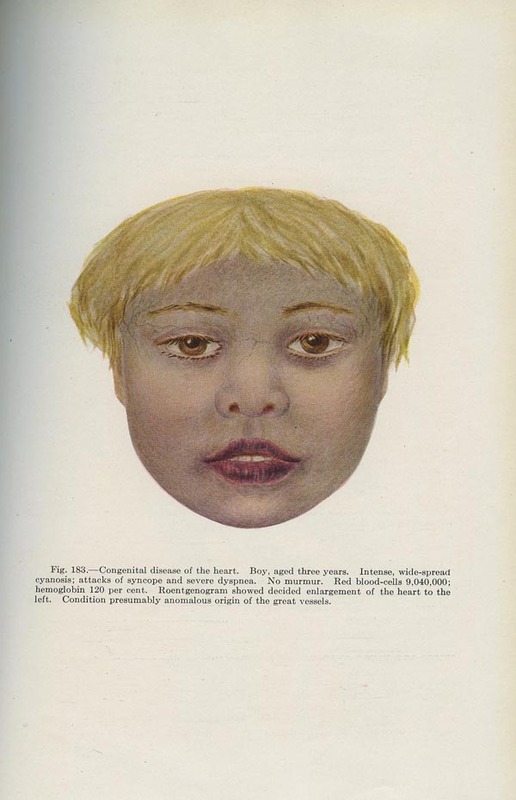 The illustrations and photographs inside are for the most part horrifying but one can’t help but look. 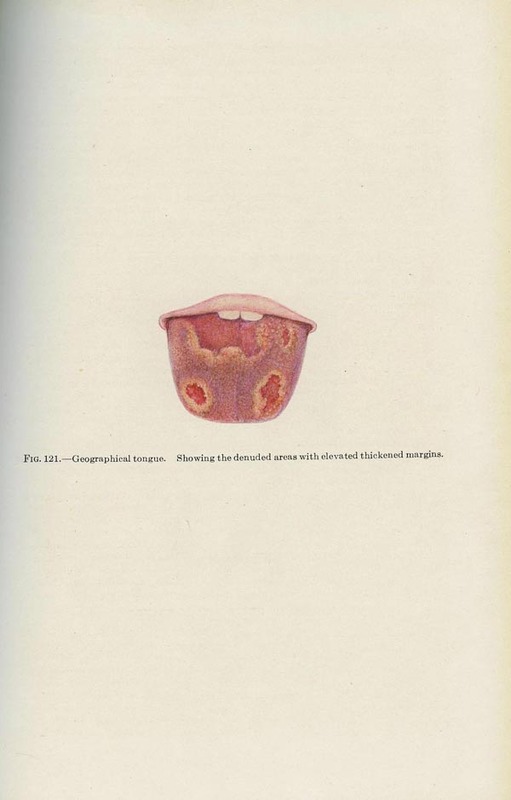 We’ve scanned a few of our favorite pages for you, but rest assured we didn’t go to that dark place. You’ll have to see the books themselves to see what we mean. And you will thank us for showing such restraint.